Who are they? 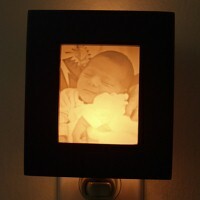 Hollywood FotoGifts use modern software technology to print these cute, almost 3D photo sculptures from your photos! Hollywood FotoGifts employ experienced digital imaging artists to make these photo gifts accurate, visually pleasing images. Since their parent company was founded in 1993, their specialists have restored, retouched, and preflight hundreds of thousands of photos, so your photos are safe with them. 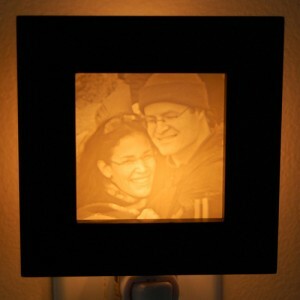 About the product: These are 5×7 photo pop-out portraits, layed on black acrylic plastic. Your photos are multi-layered, thus making the image 3D. photoatelier is owned by Sarah who is an artisan residing in Wasaga Beach, Ontario Canada. Studied Interior Design at the International Academy of Design. 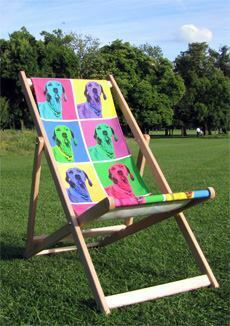 In 2008 she closed her interior decorating business and moved north to the country, making a living as an artist. These wonderful charms are made-to-order. Photographs are mounted under crystal clear glass and the back is coated with a non-toxic sealer for extra protection and durability. Each piece comes with a 17” silver plated snake chain and is packaged safely in a sliding tin adorned with a ribbon. 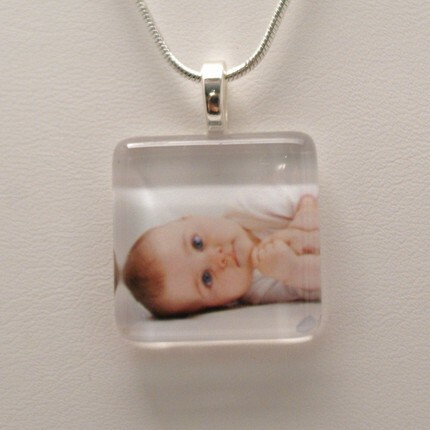 The pendant is water resistant but not waterproof, do not wear while bathing or swimming. It is not intended for children. Size: 7/8” square. Price: $15. Please see shop announcement for current turnaround times.